Earlier this month Greg Knowles blogged about the new Bluemix service IoT Real-Time Insights. Below is a quick demo of one of the many capabilities of this service. When the battery level of a drone falls under a certain percentage notification mails are sent. 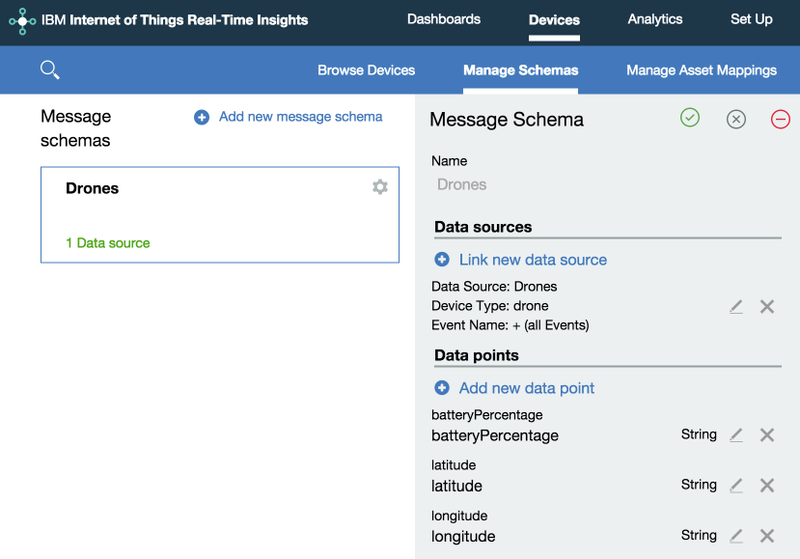 As Ryan Baxter and I have blogged about, in our team we have built some nice drone demos via the Internet of Things service in Bluemix. In my simple test I used the Insights service and pointed it to our IoT drone organization. In the web user interface of the Insights service you can define virtual data models for the data sent from your devices. In the drone sample this is the battery percentage and GPS data. After this you can graphically define rules. 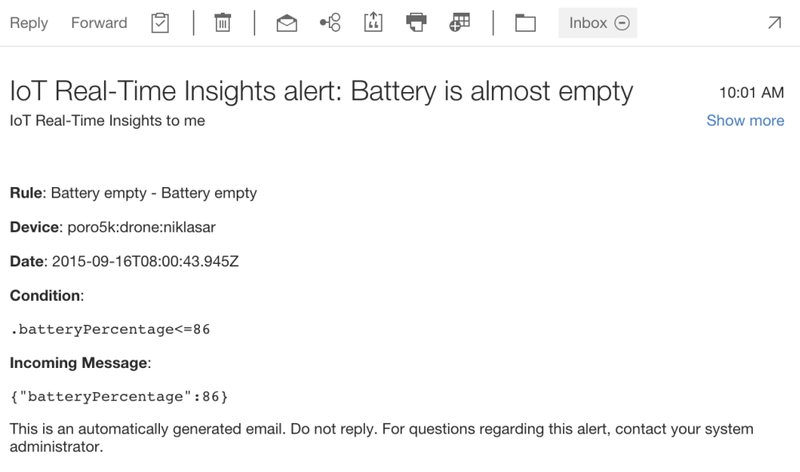 In this example I defined to send me mails when the battery percentage is below 87. Via the web user interface of the service you can see incoming data, for example in the simple dialog below, or you can define your own dashboards. When the battery percentage falls below 87% I receive mails. For more information check out the IoT Real-Time Insights documentation and the video from Markus Van Kempen.